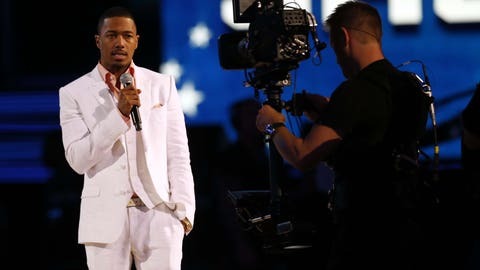 Nick Cannon, famed rapper and actor, is the latest individual to become a fan of the Carolina Panthers. Cannon who was born and grew up in San Diego had been cheering for the San Diego Chargers until recently. The Chargers are moving north to Los Angeles where they will join the Rams in 2017 and longtime fans are not happy. Cannon is one such fan and now that the Chargers will be in Los Angeles he has pledged his allegiance to the black and blue. San Diego owner Dean Spanos announced the move on January 12, a few days before the NFL imposed deadline to accept the Rams offer. Funding issues for a new stadium to house the Chargers led to the decision. Games will be played at the 30,000-seat Stub Hub Center in Carson until the brand new Los Angeles Stadium at Hollywood Park, which will serve as home to both the Rams and Chargers, is complete . The Rams will continue playing at Los Angeles Memorial Coliseum. Cannon revealed the Panthers as his new team of choice while in Houston for the Super Bowl. Hosting the Nickelodeon Superstar Slime Showdown event, Cannon was being interviewed by Jeff Eisenband of The Post Game. The now ex-husband to singer Mariah Carey, Cannon says the decision to “rock with the Panthers,” comes due to living in North Carolina at one point. Many fans of the Chargers are in the same boat trying to decide if their fandom will transition with the team to Los Angeles or if they will seek rooting interest elsewhere. Maybe Cannon will be in Charlotte to pound the “Keep Pounding” drum prior to a Carolina home game next season.